Eduzphere, located in Sector 46, Chandigarh is a coaching institute in Chandigarh offering premium courses for the preparation of various competitive examinations at the graduate level, particularly, in the field of engineering. Amongst the various courses offered are GATE, PSU and IES. The engineering graduates and undergraduates regard Eduzphere as one of the best options in the region, for the preparation of competitive examinations. In recent times, Eduzphere has showcased quite some good results and is evolving as a prominent player in the field of competitive exam preparation in Chandigarh. 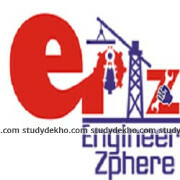 Eduzphere is one of the Best Coaching Institute in Chandigarh for Engineer Education. Faculties, excellence staff, study materials and high qualification. Eduzphere is a best coaching institute for the preparation of SSC JE Civil & Gate Coaching Center in Chandigarh. Very dedicated faculty and staff. Teachers are awesome. "All facilities are very highly experienced and all staff is very helpful." Eduzphere is one of the most well education institute in chandigarh.... dicipline, education, management, environment, staff, faculties , every thing is satisfied. i wanna give to this 5 star. best results . Best institute for Gate and govt jobs preparation , highly qualified faculty,best experience,excellent staff. It's good to study here.. Faculty, teaching staff and environment to study all are good..
Best institute for GATE/IES/PSU exams. Comparative Teaching Staff. Eduzphere Institute Chandigarh is Committed to assure learning experience that will assist to students to use their greatest potential to achieve success in all the career oriented competitive examinations.